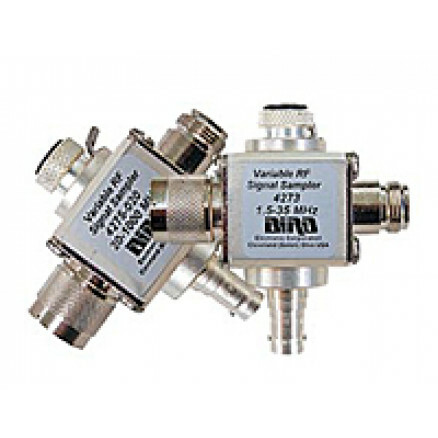 4275 Series, 20-1000 MHz, THRULINE® Variable RF Signal Samplers cover a frequency band of 20 to 1000 MHz with an attenuation range of 35 to 80 dB down from main power. The 4275 produces an unrectified, non-directional sample at the BNC port that is adjustable. Once adjusted, the setting can be locked in place. The main power connectors are Bird® QC type.